Qigong is the ancient practice of aligning breath, movement, and focused attention for healing and meditation. Its roots are in Chinese medicine, martial arts and philosophy. This class is gentle on the joints and easy to follow but works deeply to help you connect to your Qi (chi or life force). Qigong has a multitude of health benefits including anti-aging and will help you maintain flexibility, focus and balanced energy. It will bring healing, strength and balance to your mind, body and spirit. Although a standing practice, this class can also be done seated in a chair (which we provide). 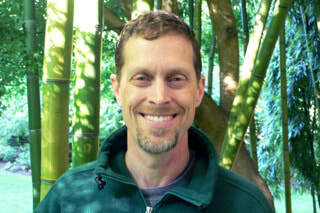 John Weiss, RSMT is a Registered Somatic Movement Therapist and Movement Coach. 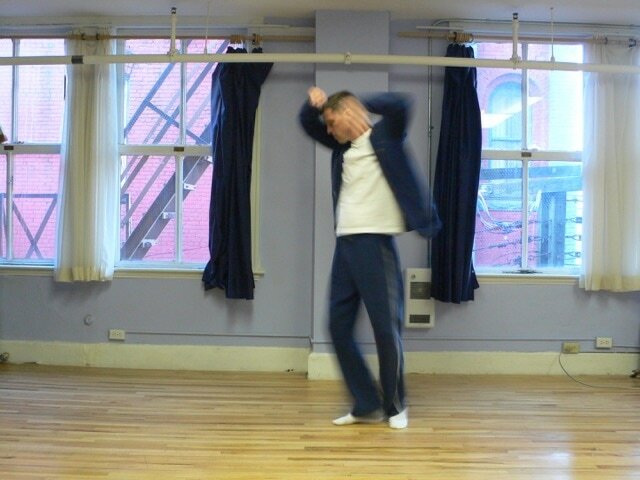 He has been immersed in his love of movement for more than 15 years. His passion is to explore and share the wonderful resources and tools that human movement provides to enrich one’s life and well-being. See our prices page for all the class payment options. If you purchase a multi-pass you save money! All just yoga passes are applicable to qigong and all other drop-in classes. When you arrive we will ask you to sign our new client registration form. You don't need a mat for qigong but you can borrow one from us if you need it, and we also have chairs you can use. For your first class please arrive 15 before class starts to register at the desk - our front door is locked strictly on time at the start of class.